NBC News reported that 47,000 children crossed the US border alone in 2013, but that number has already been surpassed in 2014 and it may go as high as 90,000. 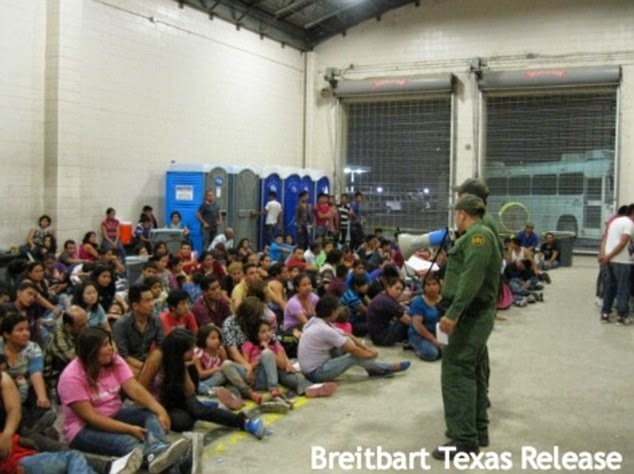 Border patrol facilities have been flooded with Central American children and many are wondering what has spurred this increase. Tom Ashbrook invited Sonia Nazario, author of Enrique's Journey, to discuss the recent influx, what is sending the children north, and what may happen to them now. Sonia discussed the increase of gang violence in Honduras, and Central America, that is compelling the children to travel to the United States and reunite with relatives. Children have to ride atop freight trains that they call "tren de la muerte" or the "train of death". Sonia rode atop the "train of death" from Honduras to the United States border twice, each trip three months long. Sonia witnessed bandits along the rails that grabbed migrant children, robbed them, raped the girls, and sometimes killed them. Sonia discussed that the majority of children have no money, and instead are only travelling with a "little scrap of paper with their relative's phone number in the U.S."
The children are also victims to the Zetas, a Mexican drug cartel. The Zetas are "kidnapping 18,000 Central Americans in Mexico every year." The Zetas prefer children since they can call the telephone number of the relative in the U.S. they are carrying with them on their scrap of paper to demand ransom. "If you don't pay, and sometimes even if you do, they will put you in a barrel of acid to dissolve you and leave no evidence. This is what parents and children are willing to face to escape the violence in their home countries." Sonia believes that children are willing to travel alone in this dangerous environment to avoid the hazardous and unpredictable conditions of their homelands. The passion and hurt in Sonia's voice is a reminder of the powerful message of Enrique's Journey. The 2011-2012 Go Big Read book is a story that is reflecting a current crisis in Central American and the United States. We would love for your opinion or thoughts on the current situation, so feel free to comment! The link below is the full 46 minute radio program with Guest Sonia Nazario.